over a long time, and how it would survive in an area with man-made orbital debris ("space junk'') and natural micrometeoroids flying around at orbital velocities. The U.S. Naval Center for Space Technology designed, built and operated the experiment for the secretive National Reconnaissance Office (NRO). TiPs involved two satellites connected by a 4-km-long (2.5-mile-long) tether, and the whole assembly had a mass of 53 kg (120 pounds). The two end-mass satellites were named Ralph and Norton, after the characters Ralph Kramden and Ed Norton from the 1950s television show The Honeymooners. Ralph weighed 38 kg (83 pounds) and Norton 11 kg (24 pounds). The tether deployer and the radio transmitter were spare equipment from the SEDS-2 mission, donated by NASA. The tether braking system of SEDS-2 was not used, because it was not compatible with the thicker TiPs tether. This tether, made by AlliedSignal, consisted of two layers: an outer layer of Spectra-1000 braid for strength, and a core of acrylic yarn to expand the other braid out to a 2-mm (0.1-inch) diameter. It was hoped that this increased cross section would improve the tether's resistance to collisions with debris and small micrometeoroids (Fig. 4.11). The TiPS payload was launched from Vandenberg Air Force Base on May 12, 1996, as a secondary payload connected to a host satellite onboard a Titan 4 rocket. It was placed in an almost perfectly circular orbit with an average altitude of 1022 km (635 miles) and an inclination of 63.4 degrees. The tether was completely deployed shortly after ejection of the TiPS system from the host satellite. Both TiPS satellites had reflectors on their exteriors to mirror back laser light aimed at them from Earth. By measuring how long it took the light to reach the satellites and return, and knowing the speed of light, it was possible to determine the precise orbit of the tethered system. Moreover, it was possible to tell the two satellites apart because they each reflected different light: Ralph's retro-reflectors were coated so that they reflected only green wavelengths, while the uncoated retro-reflectors on Norton returned both green and infrared wavelengths. Using this method, it was possible to determine the positions of the two satellites with respect to each other, and thus the attitude of the whole tether system. For almost 1/ years the tether system was observed using satellite laser ranging, and the tether itself could be seen using large binoculars and small telescopes. 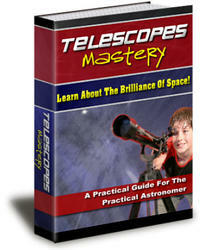 TiPS laser tracking support was discontinued on October 15, 1997, at which time the tether was still intact. It finally broke in July 2006, more than 10 years after its launch. The data obtained from this mission have been used to validate analytical models and simulations for tethered spacecraft applications. onboard a small Taurus rocket on October 3, 1998, from Vandenberg Air Force Base. ATeX comprised two end-mass satellites connected by a 6.2-km (3.9-mile) tether of polyethylene tape with three strands of Spectra material (to make the tether more resistant to the impacts of micrometeoroids and small scraps of space debris). This time the upper end mass was to be deployed while the lower end mass still remained attached to the STEX satellite. 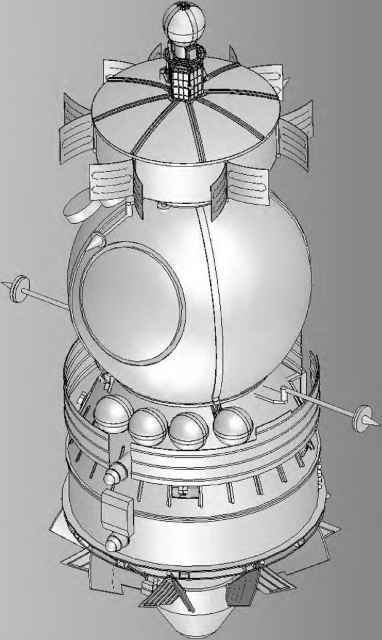 After a series of tether dynamics experiments in this configuration, the lower end mass was then also to be disconnected from STEX so that ATeX would become a free-flying system. Unfortunately, after only 18 minutes of deployment and with only 22 meters (72 feet) unrolled, sensors detected that the tether had moved away at an angle, far from its planned vertical position. This triggered an automatic safety system that jettisoned the whole ATeX system in order to protect the STEX parent satellite from colliding with the upper end mass and getting entangled in the tether. The upper and lower ATeX end-mass satellites continued to orbit together, connected by only a short piece of tether as the system was not designed to further deploy the tether in the free-flying configuration. This rendered ATeX useless for any further tests. Later investigations pointed out that the tether's angle started to diverge from the vertical just when the spacecraft entered sunlight. The heat of the Sun made the tether expand, which may have disrupted the deployment and resulted in the tether going slack or the upper end mass satellite moving to the side. Thermal expansion of the tether had not been considered important for the deployment during the design of ATeX, and its impact was not realized until the analysis of the failure. The first all-European tether spacecraft mission was YES, an acronym for Young Engineers' Satellite. This experiment was developed by Delta-Utec, a small Dutch space engineering company specialized in tether applications, in response to a unique opportunity brought about by a disaster. On June 4, 1996, the first Ariane 5 rocket was launched. Even though it was the new launcher's qualification flight, confidence in a successful flight was so high that it carried a real, operational payload: the four satellites of the European Space Agency's (ESA) science mission, "Cluster" Unfortunately, 37 seconds after lift-off the rocket severely veered off its flight path. The high aerodynamic forces caused by an erroneous flight direction tore the vehicle apart, at which moment its automated destruct system activated to prevent the rocket from continuing any further. The first Ariane 5 blew up in a spectacular fountain of flaming and smoking debris. It was soon determined that an error in the guidance software had caused the failure; the Ariane 5 software had been based on that for the earlier Ariane 4 type launcher, but the flight path and in particular the acceleration profile of the new rocket was considerably different. No preflight tests of the software had ever been performed under simulated Ariane 5 flight conditions, so the error had remained undiscovered until the dramatic explosion. An extra qualification flight of Ariane 5 was needed. This time it was decided not to risk a precious, operational payload again, but instead to launch an inactive dummy satellite. Wubbo Ockels, the first Dutch astronaut and an advocate for space tether applications, recognized that this flight provided a unique possibility to fly a small experimental tether payload. After the ESA showed initial interest, Ockels challenged Delta-Utec to come up with a viable plan. In one single week a proposal was worked out in detail and YES was born. Delta-Utec and a group of enthusiastic young engineers, students, and ESA professionals proposed building a small system consisting of two free-flying satellites: the YES satellite of 180 kg (400 pounds) and a smaller satellite of 12 kg (26 pounds) named TORI, for Tethered ORbit Insertable (and also named after a famous musician Tori Amos) connected to YES by a 35-km (22-mile) tether. To keep the tether light yet sufficiently robust, it was decided to use a double-strand cable, a so-called Carroll Caduceus tether (named after the inventor Joseph Carroll of Tether Applications, and after the caduceus, a short herald staff entwined by two snakes in the form of a double helix, carried by the Greek god Hermes). The main objective of the experiment was to investigate tether deployment and dynamics in a geosynchronous transfer orbit (GTO; the elliptical transfer orbit in which a GEO satellite is initially launched), and to demonstrate tethered momentum transfer for future applications. The plan was proposed to ESA and soon accepted as a payload for Ariane 502 ("502'' standing for the second flight of the Ariane 5). The ESA decided to combine YES with other experiments in a robust box dubbed "TEAMSAT," which would be integrated with the large dummy payload. Unfortunately, the YES project hit a major snag. The Ariane 5 upper stage would put YES, TORI and the tether in an orbit that would expose the combination to only a small level of orbit degradation due to atmospheric drag. YES could thus stay in orbit for a very long time. The tiny but continuous pressure of sunlight on the relatively large surface area of the long cable could slow YES down and make it fall back to Earth, but the impact of that strongly depended on the direction of the Sun relative to the tether and its flight direction. This in turn strongly depended on the launch time of the rocket. As a result, the possible tether orbital lifetime was ranging from 2 months to tens of years. The risk that the YES tether would hit an expensive, operational satellite within a period of several months was deemed to be acceptable, but to have a rogue satellite with a long tether flying around for years would be too dangerous. Unfortunately, a change in the launch time of the Ariane led to a rather long expected orbital lifetime; the international Space Debris Committee determined that the collision risk the tether experiment posed to other spacecraft was too high, and therefore the tether was not allowed to be deployed. On October 30, 1997, YES was nevertheless flown on Ariane 502 and actually ejected from TEAMSAT, but the tether was not deployed and TORI remained mated to TEAMSAT. Sadly, without the tether, YES was unable to accomplish its main mission objectives. A real application of a tether, although rather simple in nature, was a flight involving two miniature satellites, Picosat-1 and -2, developed by the Aerospace Corporation in the United States. Each had a mass of less than 250 grams (half a pound) and was only slightly larger than a deck of cards, making them the smallest active satellites flown up to then. They were launched on January 26, 2000, together with other small test satellites onboard a Minotaur rocket. The two were designed to perform basic tests on so-called MEMS (Micro Electro-Mechanical Systems) radiofrequency switches and were the first to demonstrate the principles of miniature satellites flying in formation and intersatellite communication via a local radio network. Each spacecraft also had a radio communications link with the ground. The two picosats were connected by a 30-meter (100-foot) tether to ensure that they would stay close to each other (formation flying), which was necessary to test the micropower radio system that let the two satellites communicate with each other. In addition, the tether contained thin strands of gold wire that reflected radar signals, so that the satellite set could be tracked by the powerful radar systems of U.S. Space Command. They were deployed on February 6, 2000, and communications with the satellites were established 24 hours later. The spacecraft primary batteries ran out by February 10, 2000, which ended the successful mission. The same year the experiment was repeated with Picosat-7 and -8, again launched with a Minotaur on July 19. A larger set of tethered Aerospace Corporation satellites were MEPSI-1A and -1B (for Micro Electro-Mechanical Systems-based PicoSat Inspector) launched with Space Shuttle mission STS-113 on December 2,2002. 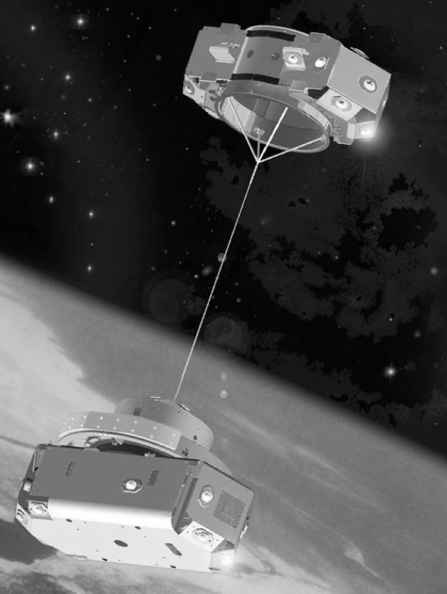 The two cubic spacecraft had a mass of about 1 kg (2 pounds) each and were connected via a 15-meter (50-foot) tether to facilitate detection and tracking with ground-based radar. 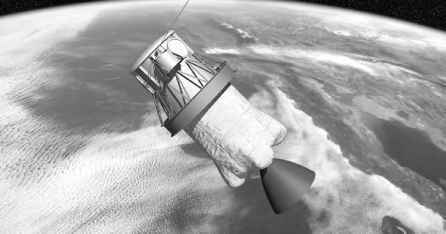 While the earlier tethered picosats did not have any means of propulsion, the MEPSI satellites carried a cold gas propulsion system. Its five thrusters of 0.1 newton thrust each (equivalent to the weight of a 10-gram [0.02-pound] mass in your hand) allowed some control of the spacecraft's attitude in space. The mission was part of a development that should result in a small autonomous satellite that can be carried on larger spacecraft and be used for remote inspection and servicing (presumably of its mothership as well as other satellites). Similar sets of MEPSI satellites were launched onboard STS-116 in December 2006 (MEPSI-2A and -2B), onboard STS-117 in June 2007 (MEPSI-3A and -3B), and with an Atlas rocket in March 2007 (MEPSI-4A and -4B) (Fig. 4.12). Another very small satellite with a tether was DTUsat-1, developed and built by students from the Technical University of Denmark. It was to deploy a 450-meter (1480-foot) copper wire tether for lowering the satellite's orbit through electrodynamic braking. 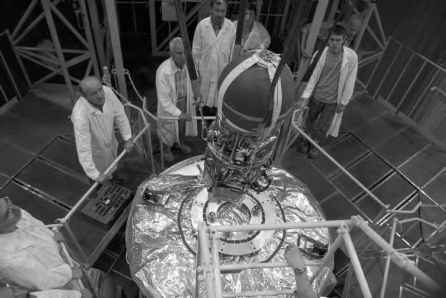 DTUsat-1 was launched together with an array of other small satellites and a test model for a Russian Earth observation satellite onboard a Russian Rockot launcher on June 30, 2003. Unfortunately the mission had to be declared a failure when no radio contact could be established with the satellite after it had been put in orbit. Japan initiated a new national tether experiment with the launch of the small CUTE-1.7 (Cubical Tokyo Tech Engineering Satellite''). The experimental satellite was launched on February 21, 2006, onboard an M-5 rocket, together with the ASTRO-F astronomy satellite that was the primary payload. CUTE-1.7 carried amateur radio equipment, utilized a handheld personal digital assistant as a low-cost onboard computer, and was to be used as a training tool for students at the Tokyo Institute of Technology. At the end of its mission, several months after launch, the 4-kg (8-pound) satellite would deploy a conductive electrodynamic tether of 90 meter (300 feet) for a de-orbit test. The satellite separated correctly from the launch vehicle and communications with CUTE-1.7 were established soon after; telemetry reception reports from radio amateurs were received from all over Japan. However, on the evening of March 16 CUTE-1.7 stopped accepting commands from the ground, possibly due to radiation damage to the computer's command processing controller, and consequently control over the satellite was lost long before the start of the tether experiment. 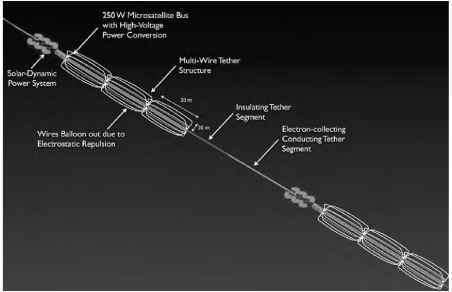 American investigations into the dynamics and survivability of tethers in orbit were continued with the MAST experiment, for Multi-Application Survivable Tether, developed by Tethers Unlimited, Inc. (TUI) in collaboration with Stanford University. The MAST experiment consisted of three picosatellites, named "Ted," "Ralph," and "Gadget" (picosatellites are spacecraft with a mass less than 1 kg [2.2 pounds]). During launch the satellites were stacked, together occupying a volume of only about the size of a loaf of bread. 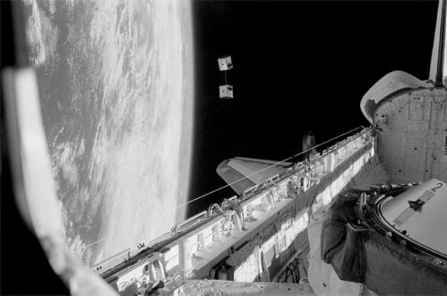 Once in orbit, the satellites were to separate and Ted would deploy a 1000-meter-long (3300-foot-long) tether between it and the other satellites. 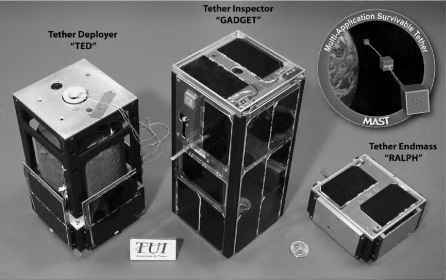 Gadget was designed to then crawl slowly along the tether extended between Ted and Ralph, recording images of the cable to enable study of its behavior in space and the detection of any damage (Fig. 4.13). breaking due to any of these hazards, we can increase its diameter, but that quickly leads to a rather heavy and unwieldy cable. The Hoytether consists of a series of interlinked tethers instead of a single cable, and is therefore lightweight while still being less vulnerable; damage to one or more strands does not necessarily result in a break of the whole tether as long as the other strands remain intact. MAST was launched on April 17, 2007, as a secondary payload on a Russian Dnepr, a former military ballistic missile converted to space launcher. The TUI engineers were successful in contacting Gadget, but the other satellites unfortunately remained silent. From the data obtained from Gadget, it was concluded that Ted did actually separate from Gadget and Ralph, but that a problem with the restraint system prevented it from ejecting smoothly and with sufficient speed. As a result, only a few meter of tether was deployed, too little for the planned experiment. At the time of writing, the most recent tether mission is YES-2, a successor of the earlier described YES experiment. The Young Engineers' Satellite 2 was sponsored by ESA as part an experiment package that it flew on an uncrewed Russian Foton capsule for the Foton-M3 microgravity research mission. Delta-Utec, the Dutch contractor specializing in tether systems that was also responsible for the first YES, developed the experiment with the help of about 450 students from across Europe (Figs. 4.14 and 4.15). Foton-M3 and YES-2 were launched by a Soyuz rocket from Baikonur, Kazakhstan, on September 14, 2007. On September 25, YES-2 deployed a small capsule, called Fotino, downward at the end of a 31.7-km-long (19.7-mile-long) tether. As Fotino dropped, it got closer to Earth and therefore its potential energy diminished (potential energy is the energy an object has by being at a certain altitude; moving it higher increases its energy, because when you let it fall it will achieve a greater speed than before and hit the ground harder). Since energy is conserved, the loss in potential energy resulted in a slight increase in kinetic energy and therefore velocity with respect to the Foton-M3 spacecraft. Orbital dynamics would thus cause the capsule to move in front of the mother spacecraft. altitude of about 250 km (160 miles). Protected by a heat shield, it was designed to survive the fiery fall through the atmosphere. At an altitude of 5 km (3 miles), a parachute would deploy to ensure a soft landing on the steppes of Kazakhstan (Fig. 4.16). The ejection and the initial 3.5-km (2.2-mile) deployment went according to plan, but then the tether seemed to slow down. Initial data indicated that a total length of only 8.5 km (5.3 miles) was reached before the preprogrammed command released Fotino and cut the tether. However, a better look at the measurements several weeks later indicated that the whole 31.7 km (19.7 miles) of cable was actually reeled out (more than the planned 30 km, due to a failure of the braking control system). Accelerations measurements from the Foton spacecraft confirmed the successful deployment, and also showed that the Fotino had been released exactly when the tether swung through the vertical. The complete deployment makes the YES-2 cable the longest space tether ever deployed. the Foton on its own was suddenly flying too fast for its orbit and therefore entered a higher, elliptical orbit. The measured altitude gain of the Foton-M3 corresponded with what simulations showed would happen if 31.7 km (19.7 miles) of tether would be extended—another strong indication that the YES-2 tether had in fact been fully deployed. The planned braking at the end of the deployment, to gently initiate the pendulum movement, unfortunately did not happen due to problems with the control system. As a result, the tether experienced quite a shock, which even produced sound waves that traveled back and forth through the cable. It also meant that Fotino did not exactly fly the planned reentry trajectory after release from the tether, although later analysis showed it should still have ended up in the dedicated target zone. The capsule had enough energy in its batteries to send out a radio signal for 3 days after landing, but that signal was never picked up. It is therefore not exactly clear what happened with Fotino. However, since the Space Surveillance Network was unable to detect the capsule in space, the YES-2 team believes it did enter the atmosphere right after its release from the tether. The capsule may have burned up in the atmosphere or its radio system may have been damaged during landing. Another possibility is that the partly burned heat-shield material has blocked the radio signals it was sending out after landing. It thus appears that the YES-2 experiment was very nearly a complete success: the entire, record-breaking length of tether has been deployed, and Fotino seems to have been de-orbited using momentum exchange only. Plentiful data has been gathered on tether deployment, dynamics, and de-orbiting, which may lead to an operational way of returning capsules, for example from the International Space Station, without the use of any form of propulsion.